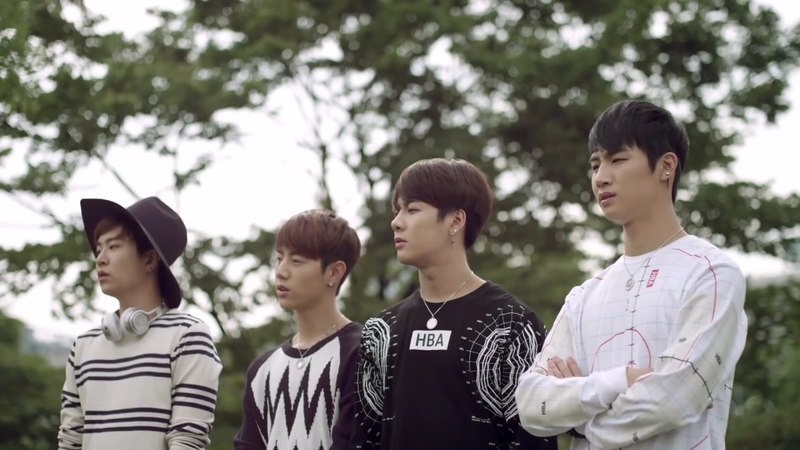 A rather slight web drama that bored me, Dream Knight (2015) was really aimed at young teenagers who like boy idol groups (and that's not me, I'm old enough to be their grandparent, lol!). I wasn't familiar with the lead actress, Song Ha Yoon, and she didn't seem like a strong enough actress to carry a show like this and give it lots of interest to reach all age groups, not just the young-uns. I would sincerely suggest you skip this inconsequential short drama and watch another drama with a somewhat similar theme but much better acting from pros, especially by its leading lady, Park So Dam, Cinderella and Four Knights (2016). I gave that drama a B+ and this short drama a C. It has much better everything: production values, acting, etc. The Story: Though she's constantly bullied, spunky orphaned high school student Joo In Hyeong (Song Ha Yoon) refuses to let life get her down and she fills her little home with positive vibes from the music of her favorite boy bands. However her fandom hits the next level when she discovers the ability to call upon four mysterious good looking male idols (played by group GOT7, in turn JB, Jr, Jackson, and Mark), who turn her world topsy-turvy with magical and hilarious antics, not to mention some nifty dancing and song. The show includes JYP artist cameos, so a lot of young people get their chance to shine in the sun. No matter how tough life gets, Joo In will get by with a little help from her friends, especially from her new dreamy knights!